We use gravity permanent mold casting technology for the serial production of castings in larger batches. 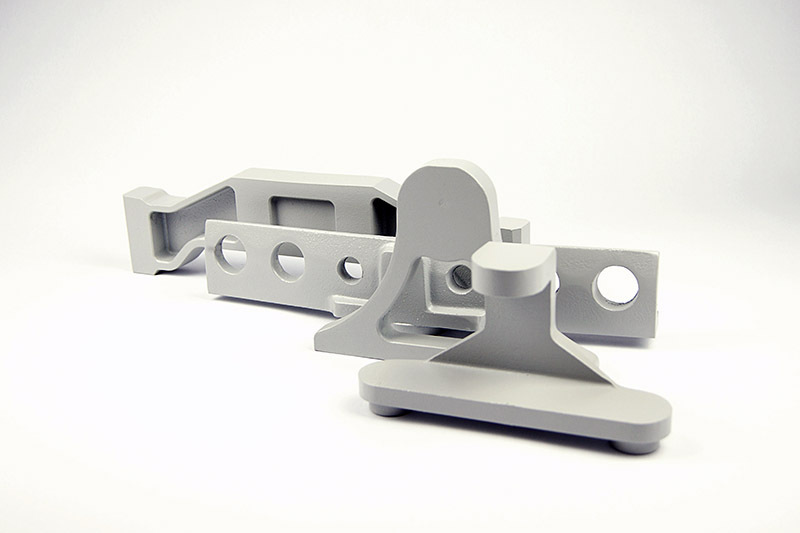 This method enables performance of precise castings for different branches of industry. 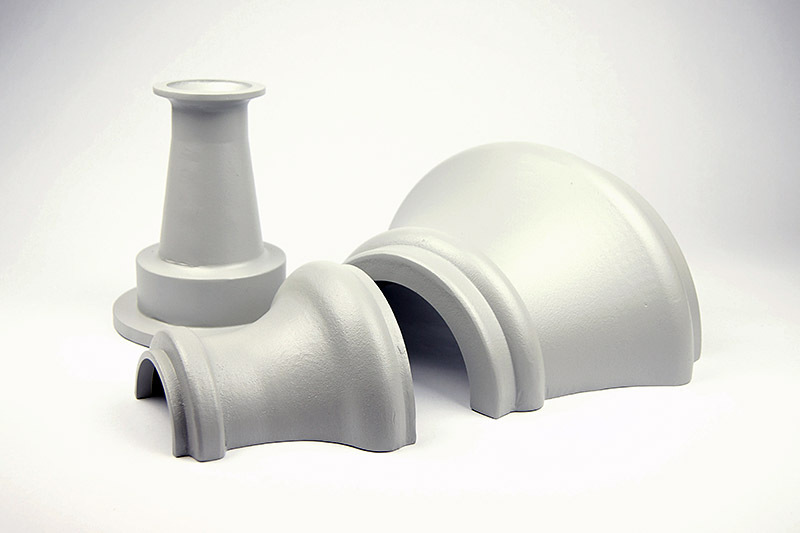 It guarantees high quality of casting and dimensional repeatability. permanent mould casting machine for moulds of overall dimensions of 1400 x 1200 x 750. For the purpose of production of small batches of castings of unusual overall dimensions it is possible to perform permanent moulds unrestricted by working area of permanent mould casting machines and to develop the process on a screw-gear machine. In serial production the moulds are filled in automatic cycle. In the case of small batches the metal mould is filled manually and requires involvement of a very experienced foundryman. For each filling it is necessary to check both the mould and metal temperature and to ensure the mould is filled at a very specific pace. Construction of moulds for permanent mold casting takes place completely in our plant – from design phase to its performance. 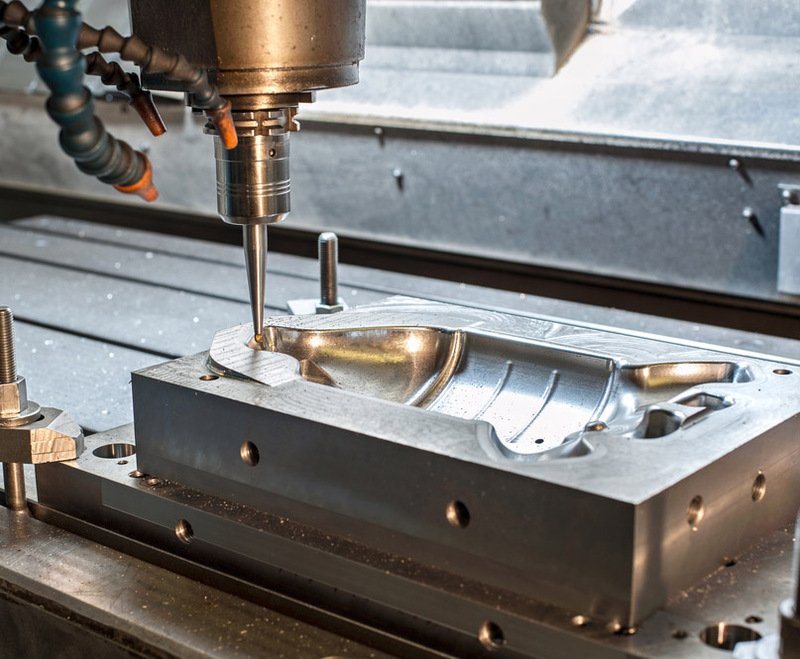 The Design Department, using sophisticated design and analysis software, creates shaped forms which are performed by our Mechanical Working Department using CNC technology. 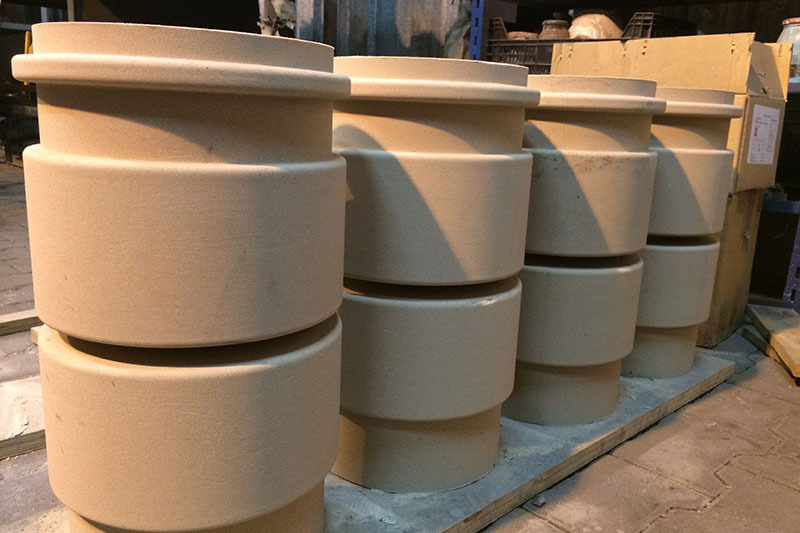 The moulds are made – depending on requirements and specificity of cast batch – from cast iron or constructional steel. We use metal cores and reinforced cores integrated with mould, where possible. 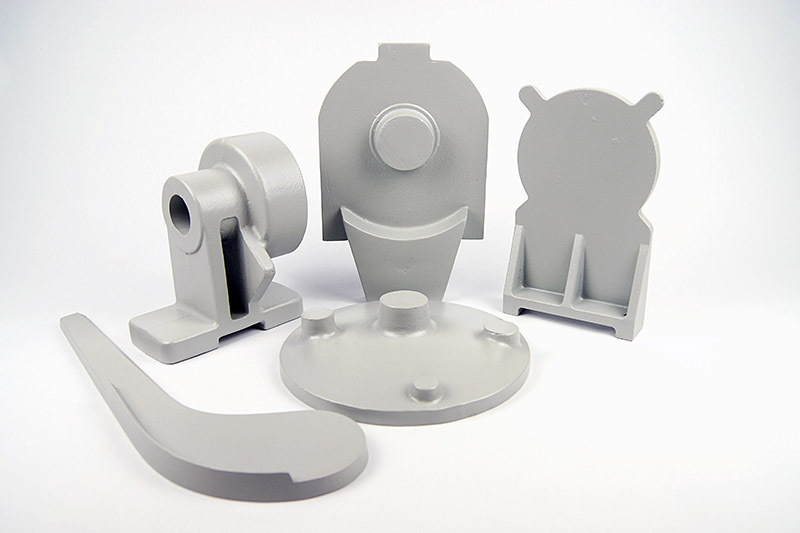 With casting in metal moulds it is possible to reach higher surface quality of castings and it is also much more efficient and quicker production process. Our aluminium foundry produces aluminium permanent mold casting in sizes limited by working area of hydraulic machines, i.e. 830 x 1150. For the purpose of production of small batches of castings of unusual overall dimensions it is possible to perform permanent moulds unrestricted by working area of permanent mould casting machines and to develop the process on a screw-gear machine. 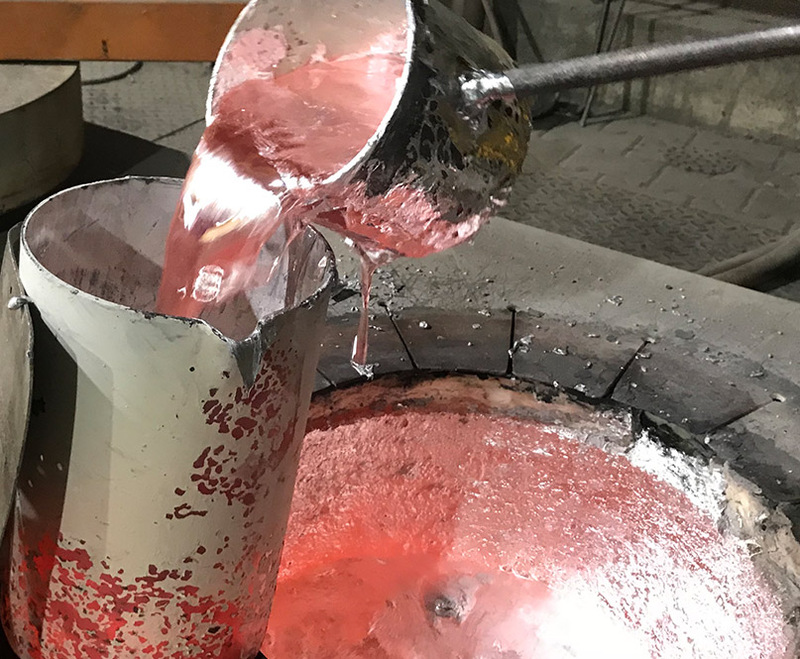 The foundry remelts and uses mainly certified charge whose composition is almost identical to client’s requirements, dosing alloying agents only where specifically expected by the ordering party. 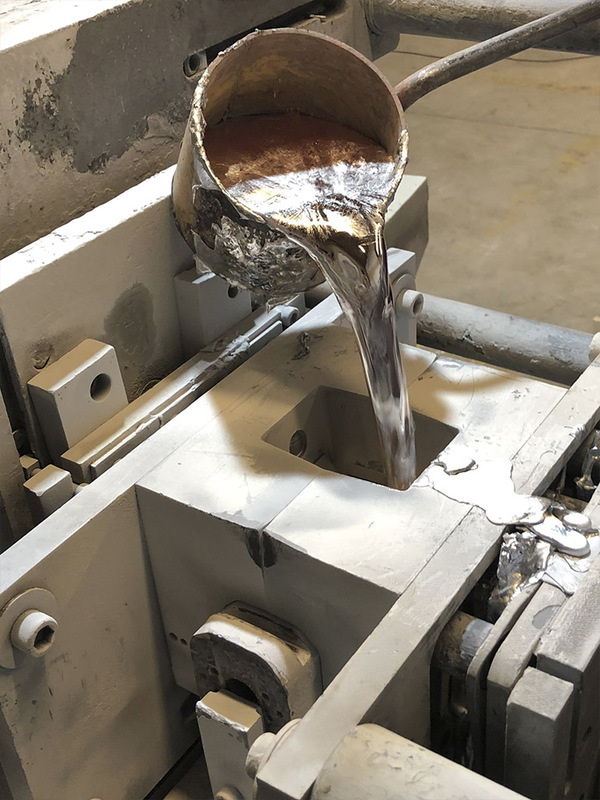 The charge material significantly impacts the quality of liquid metal, for this reason, our foundry puts big emphasis on proper storage to avoid its contamination, as well as potential moistness and possible mix up. Melting takes place in electric foundry furnaces which allow us to obtain high thermal efficiency and carry out clean melting without contaminating the environment. The controlled melting process allows for constant control over temperature and assessment of gas content in metal. 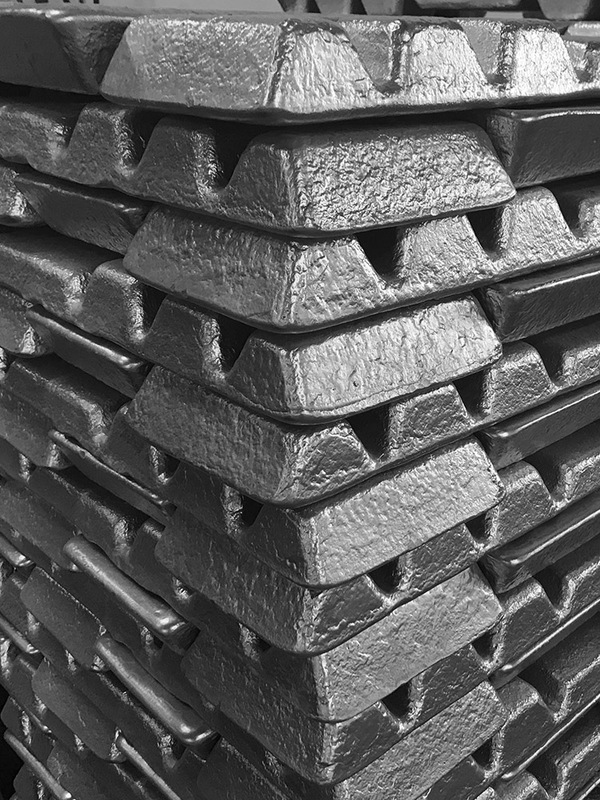 You may choose alloys from PN, DIN, and EN standards.